This is my translation so don’t expect it to be as awesome as the subtitles by Hüseyin Kamar & Kimberly xD but I hope you like it, Hüseyin Kamar helped me with couple of difficult lines I had trouble with, so thank you again Hüseyin, it’s another fantastic episode bar some cringe-worthy scenes that I thought they could do without & lastly if you like this, share it with your friends and leave us a comment. Someone has been disliking our YouTube videos one by one, apparently he does not have life and took upon this brave quest of trying to close our channels, lets show him how united are we, press the like button for every episode we have posted on our channel, it would not take long, thank you. OMGG the last three episodes nearly killed me. They were sooo good, Turgut, Selcan were all amazing. Thank you so much for translating these episodes, we always check when the next episode is out. 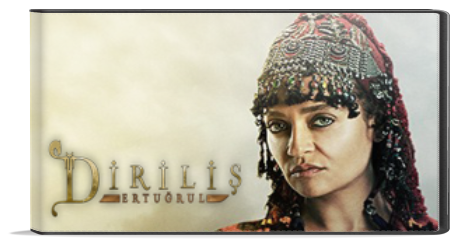 May I ask is this show really popular in Turkey? Hehehe, yeah the episodes were great & we are close to the final so things are heating up, I’m not sure but I think it’s popular when you see the amounts of viewers on the official YouTube channel, but probably other people can shed light on this better than me cause I’m not Turkish. You’re most welcome Carmen, we’re doing our utmost effort, if it were not for my job being converted to shifts I might have finished episode 23 before but hopefully I finish it by Monday night, it’s not certain yet though. may Allah make it easy to translate for the rest of the episode. May Allah give you endless reward, as we are moslem with english back ground, we can learn a lot from this movie series. Dear WLEXT, thank you very much for uploading this English subtitled series. I love it so much and I always look forward to watching a new episode. I wish congratulations to the translators, too. Keep doing this because you’re doing a great job! You are very welcome Angela, I’m glad you’re appreciating the series. Hello, no clue, be patient. Great job. Thank you and keep it up. You’re welcome, dear. Hope you have a good time. AWESOME! 🙂 AWESOME AWESOME AWESOME!